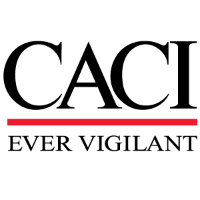 National Cyber Solutions Group, CACI is looking for top talent to join our elite team. NCS is currently seeking an Intelligence Analyst to join one of our Prime Contracts. As the prime contractor, we design and develop mission-essential capabilities to increase the efficiency, integration, and quality of the customer’s intelligence analysis activities. We work with the end user community and utilize business analytics to measure the effectiveness of capabilities we deliver, as well as, other major applications used by the customer. There are a variety of opportunities to learn and apply unique data science methods to inform customer decision-making, gain hands-on development experience working with widely used IC applications, and lead customer and community outreach efforts at senior-levels of government. This new, multi-year contract supports a customer agency that we have successfully partnered with for nearly three decades and continue to grow and expand our presence to support their core mission areas.